An innovative studio space for The Performance Centre based at Falmouth University’s Tremough campus. The brief was to create a flexible workspace used for day to day study, group learning and seminars for students on event management and production courses whilst also doubling up as a cinema and restaurant. 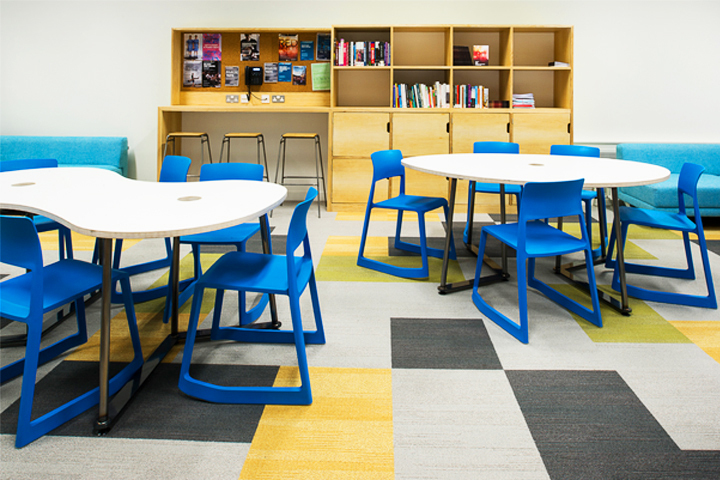 The furniture and finishes reflect the dynamic courses and diverse working practices of the students whilst working practically to provide the level of flexibility needed. 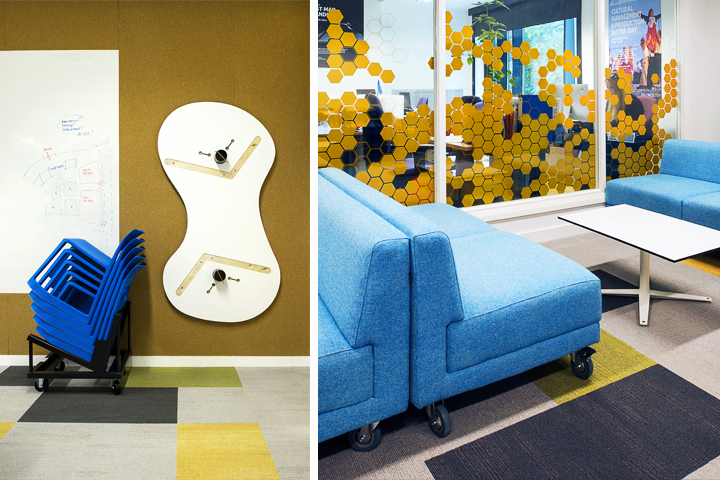 Vibrant colours and fun furniture give the space personality. Extra touchdown spaces were provided by our cleverly designed storage and workbench which very nicely partners with the Deadgood working girl stools. 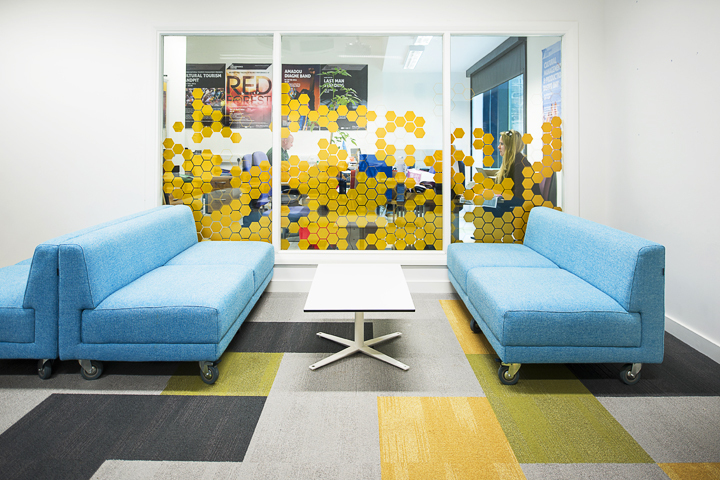 Students and lecturers are also able to brainstorm and pin up ideas on the whiteboard and cork board wall. This sofa designed especially for Studio D became the inspiration for a new flexible seating system, Studio for MARK Product!